Rated 5 out of 5 by jewel_43 from One of the Best Games I have Played! Loved this game... The storyline was excellent...graphics were good and the puzzles were a bit challenging in some cases but otherwise fairly straightforward. The background music was just average compared to the Ancient Guardian series but all told this was an excellent game and I would thoroughly recommend it to anyone who is after a bit of a challenge and likes the Edgar Allen Poe series of games. Rated 5 out of 5 by mymetime from Want a little extra challenge? Really liked this one - the puzzles were good, the hos were a bit tricky, it looked beautiful, and the game seemed to go on for ages!! There's no hint or map, so it is just that little bit extra challenging - the walkthrough is really useful, thanks. Some of the names for items in the hos were a bit strange, (lost in translation, I guess), but that just added to the challenge. They seemed to get weirder closer to the end... Overall, this one was a bit different, I really enjoyed it. Rated 5 out of 5 by zeldaqn from A MUST HAVE Based on hard option: This was an excellent game. 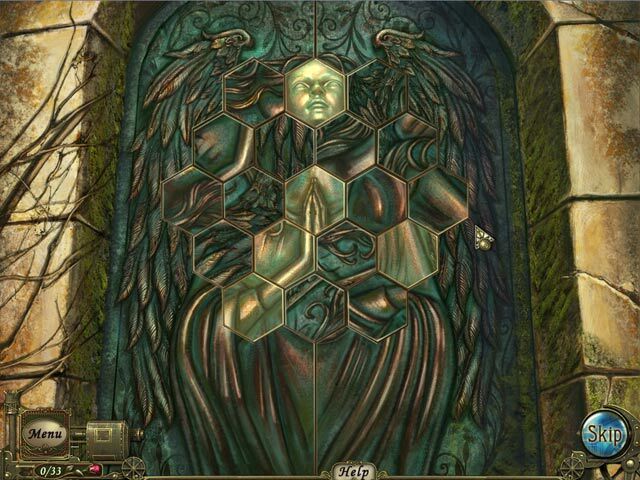 The puzzles were original and I found out in "3"s. The graphics aren't as good as some but the puzzles are quite challenging. Unfortunately one was so challenging I couldn't understand how to play it and skipped it. I was hoping that would show me how it is done so I could play the two like it but it skipped it all. I would have liked to have a map since I had no sparkle hints but maybe that was part of the hard version. Overall I'm going for more in this series. Rated 5 out of 5 by Aunt_Mabel from Loved it! 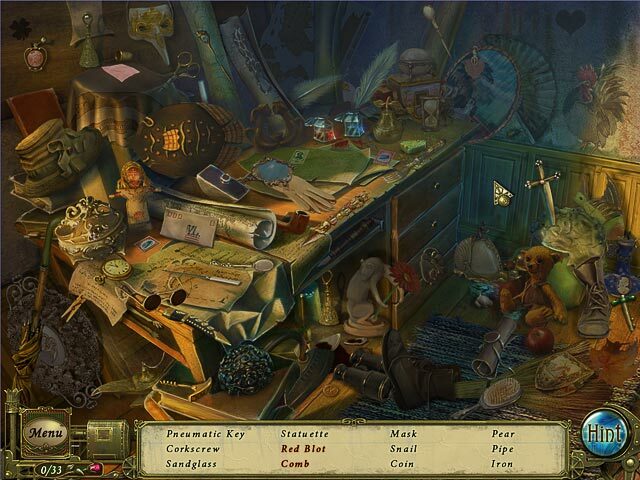 What I loved most about this was it the similarity to those late 1990s point and click adventure games. The most striking similarity is in the fact that outside of the HOS there are no hints. That's right folks - no hints! You have to work it out for yourself unless you resort to a walkthrough. There are HOS of course, but they are not too many and are fun. The objects are clear, not too easy to find but not so frustrating that one wears the hint button out! Watch out for the occasional badly described item though. In one scene I spent ages looking for a "Bowl" only to give up and use a hint and be shown what was clearly a goblet or wine glass! The mini-games a decent too, not difficult though. The game is fairly linear, but not completely. There is some doubling back but it is within sections in the game, so no going right back to the beginning when you are nearly at the end. This is just as well because there is no map.The cut scenes are nice, and there are some decent conversations that move the story forward. All in all, this one gets the thumbs up from me. I really enjoyed it. Rated 5 out of 5 by Jem_Jerrica_Guy from Poe doesn't even have to promote this! This is a great module in itself. Starting out talking to a ghost raises the suspense already. As you learn more about what happens, you learn how the good defeats the evil. I can see what Poe fanatics want every one of these dark tales. Rated 5 out of 5 by dreamweavers2012 from Very cool game Awesome story line, well done! Rated 5 out of 5 by Mrs_Kim from Awesome game! This game is now my favorite among all ERS games. The story is easy to follow yet flows very nicely. It's simple yet creepy. I love the music, the voice overs, the graphic. Everything in this game is top notch for me. The very last scene, is what I was hoping for, so it's perfect. Well done! 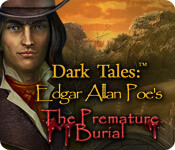 Rated 5 out of 5 by MAG57 from Edgar Allen Poe's Premature Burial I have just finished the game. Lots to do, many places to go. A good long game. The music they used was very relaxing to listen to. A good storyline. I must say that I wished I had purchased the collectors edition. I had to leave the game a zillion times just to go read the walkthrough, (I don't have a printer right now and yes I do cheat.) 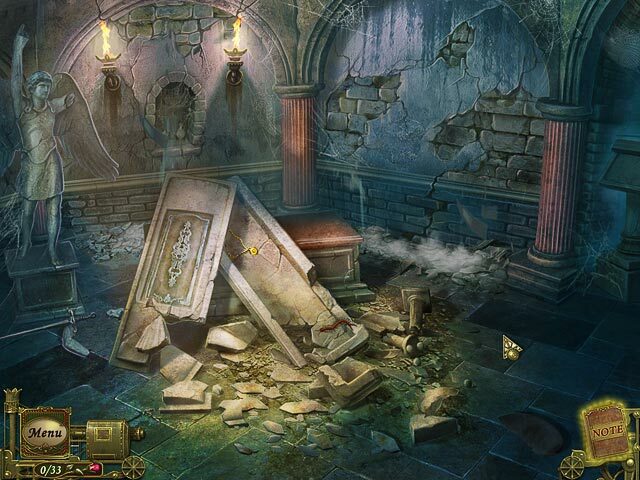 The hidden object scenes were challenging, but not so bad, when the hint button was recharging I usually found an item or two. It had a happy ending. Bravo! An excelent game! I will probably purchase another game in this series. Rated 5 out of 5 by joe61160 from Such a great story!!! Visually stunning, and somewhat challenging HOS. This game is not for children. Other than HOS there are no hints in the SE, so you're on your own. It really makes you use your brain .This is one of my favorite games! !